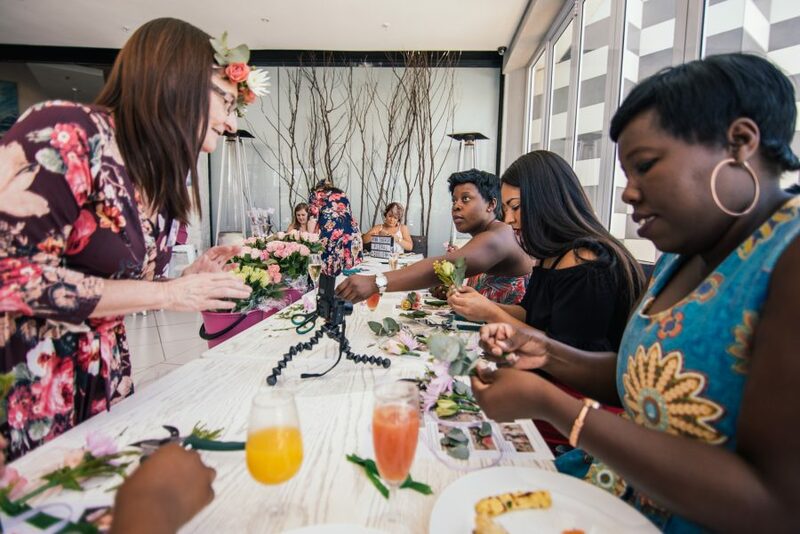 Events that are specific to empowering and celebrating woman always inspires me to do more and to create more. 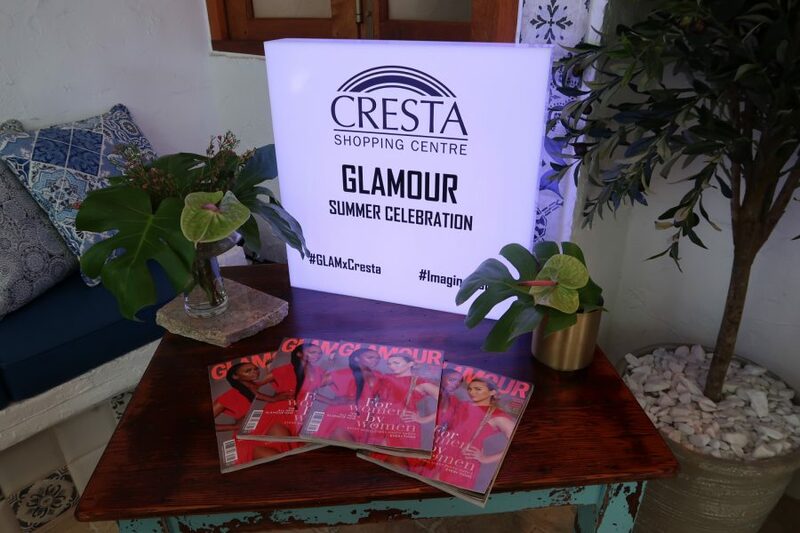 With Glamour x Cresta I was truly moved by the thought that went behind every aspect of the morning.We were spoiled with so many special things, from the minute we walked in. 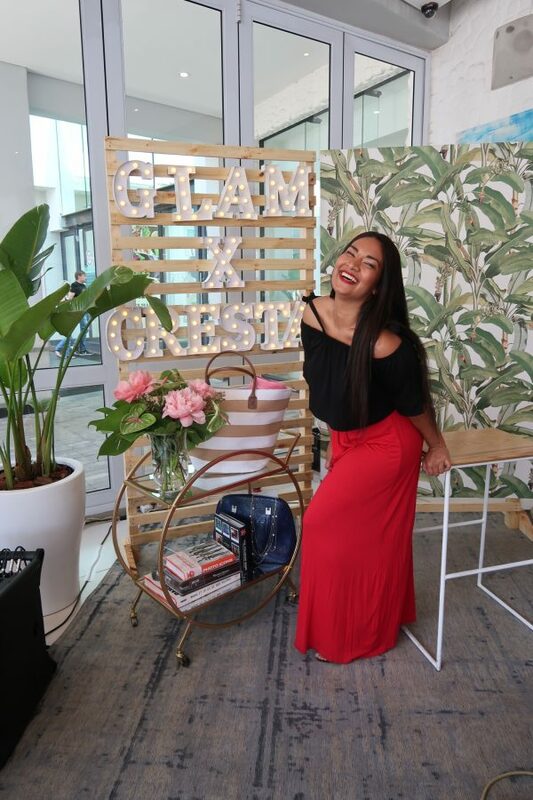 There were countless opportunities to glam out and feel pretty! We received some vouchers to keep our pretty going even after the event was over. 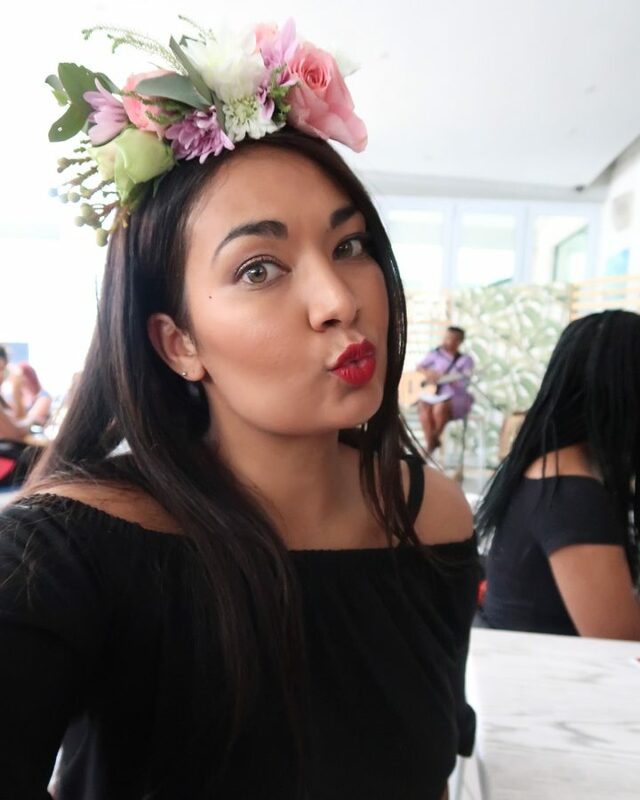 I plan to use my complimentary makeup session for an event or party during the festive season. 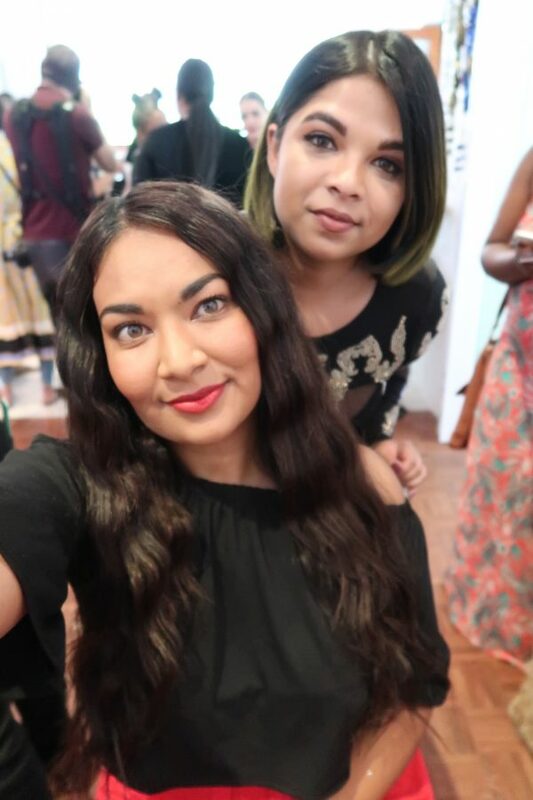 I was blown away by the hair iron that ‘blessed’ me with the most stunning effortless waves! 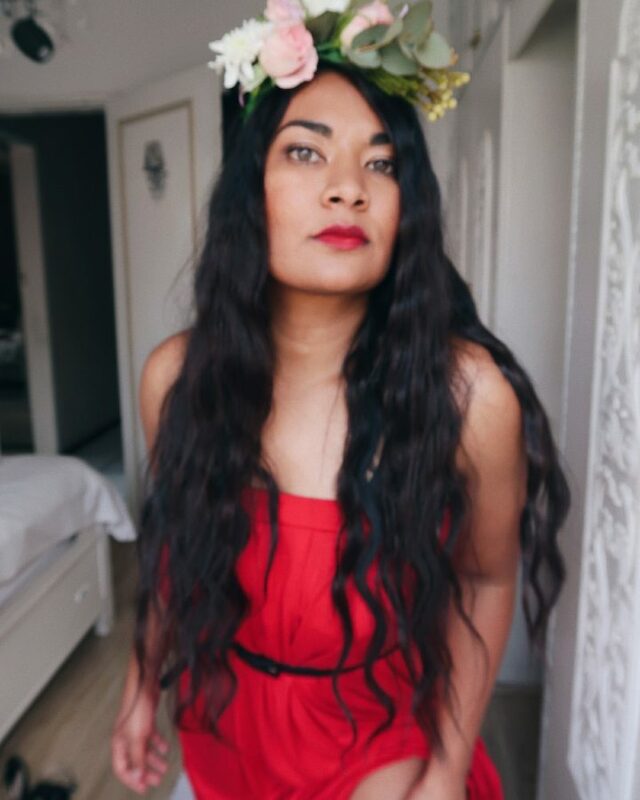 Having long hair, I have tried pretty much most of the hair styles, irons, tongs but I was like a hippie mermaid and I simply loved it! 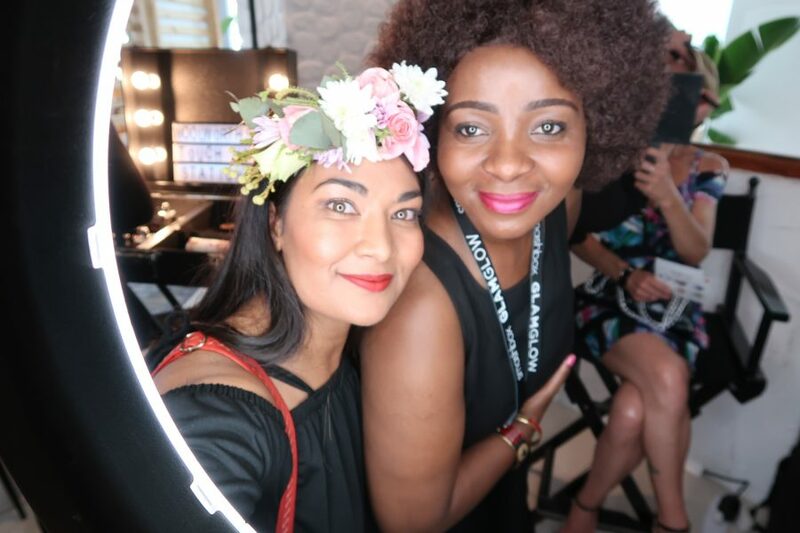 On that hippie trend,I’m sure you know I love, we made FLOWER CROWNS! 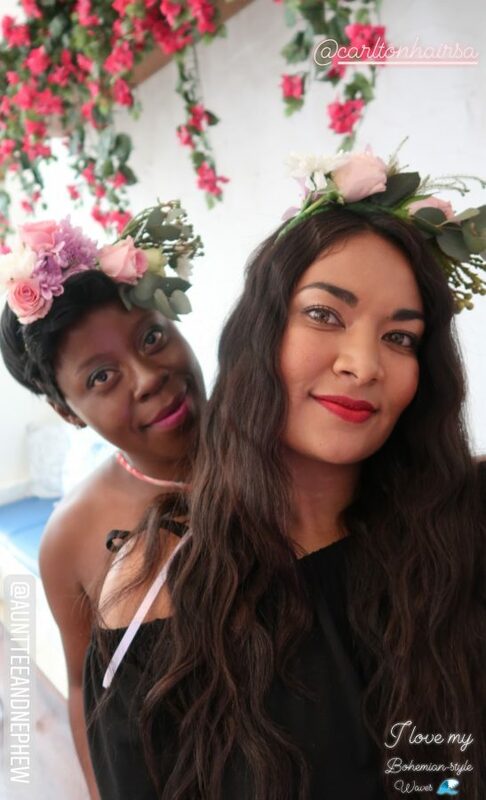 With real, beautiful flowers and then got our hair done, and touched up our makeup, and then had some wonderful love music while sipping on some delicious juice and took a dozen selfies and photos at all the picturesque places around the beautiful venue, Plaka – Cresta Shopping Centre. 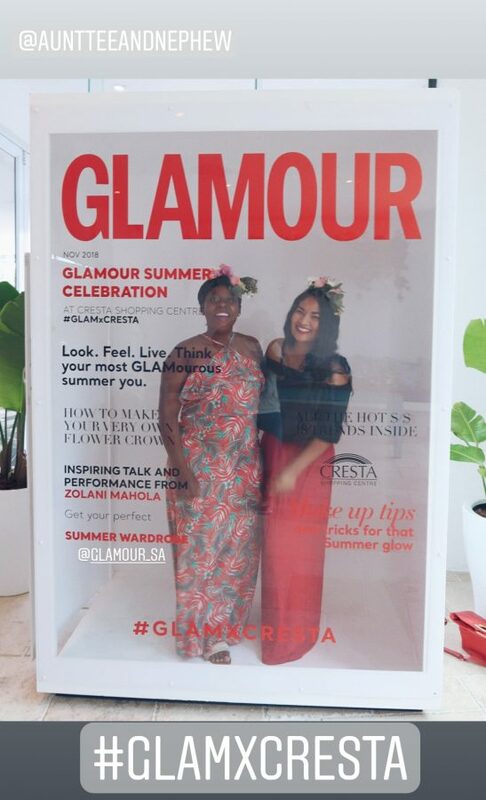 There was a magazine cover booth, that I felt was so incredibly creative and even though the photos looked kind of like a potato in a box. I still loved it! 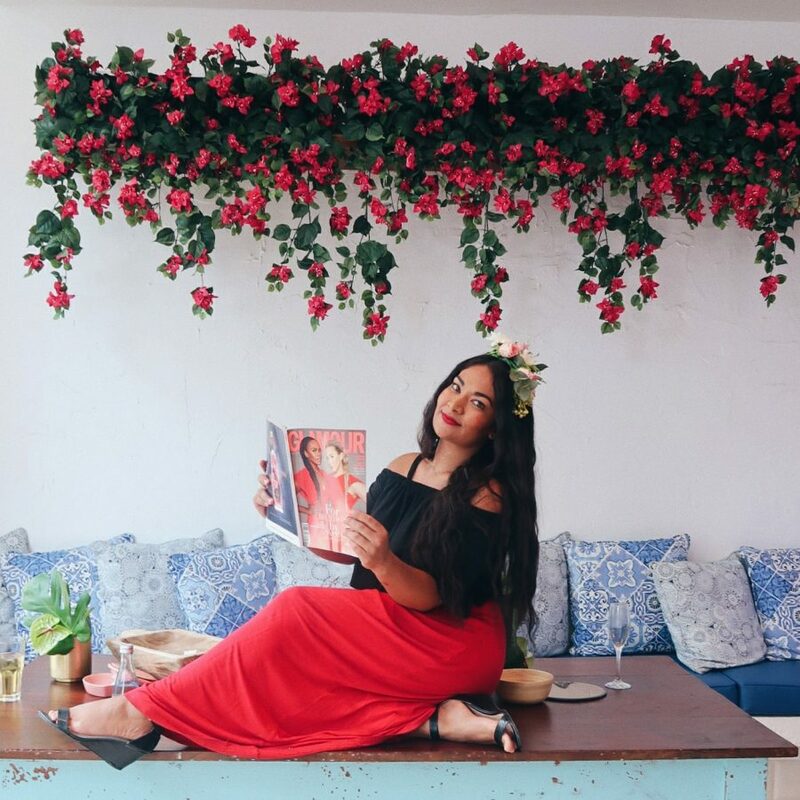 The venue is exceptionally aesthetic and Greek inspired and it was simply stunning. 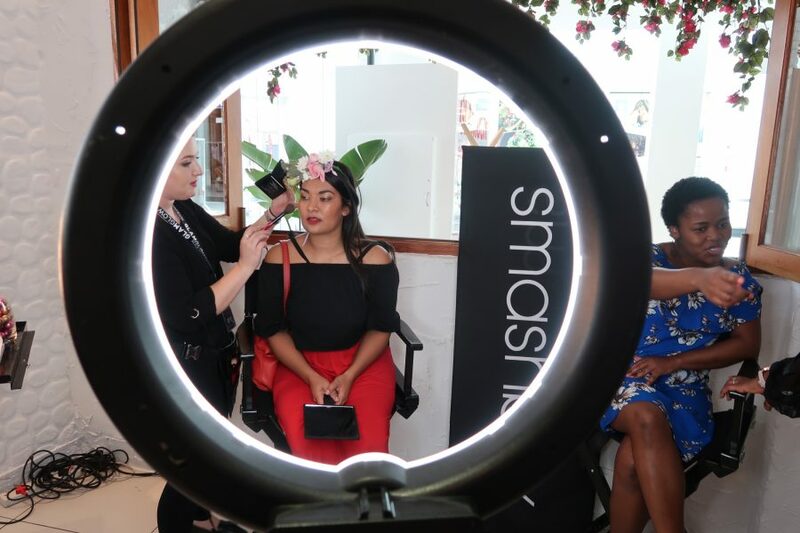 We took full advantage of the ring light and the makeup artists, that hooked us up with some contour and highlighting! 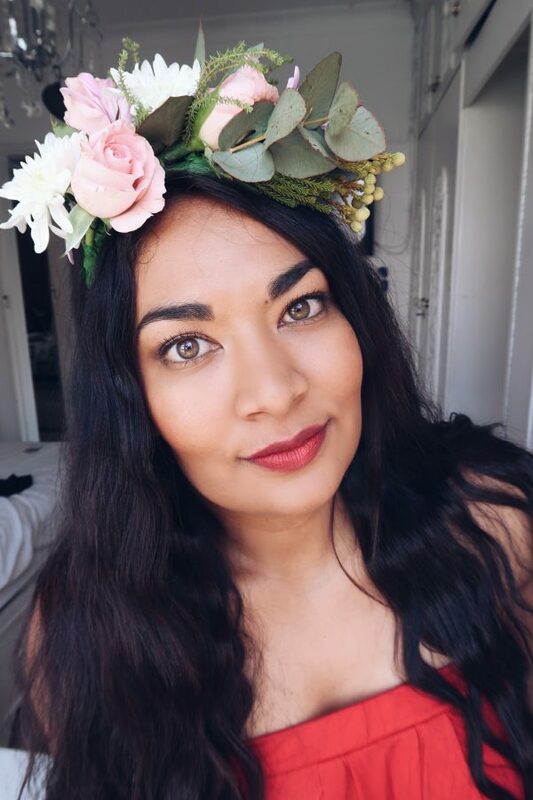 When I got home, I was still feeling beautiful and loved my flower crown, I ended taking a bunch of selfies in my room, even put the effort it to changing my outfit! A huge thank you to the organisers and the wonderful people I met at the event and for all the spoils!